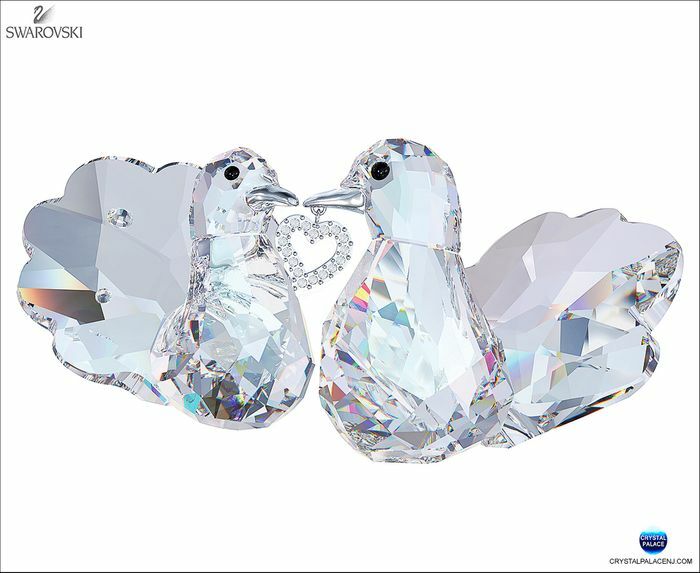 A classic symbol of love, this pair of turtledoves is an ideal gift for any romantic occasion. They shine in clear crystal with silver-tone metal beaks, and the female wears a clear crystal decoration on her tail. A metal heart charm adorned with clear crystal pavé dangles from the male’s beak.